Only an hour’s flight from Bangkok, Phnom Penh is not only easy to reach but it also offers a very unusual golf vacation. Currently there are only around seven golf courses in the country, dwarfed by its neighbour Thailand that has over 230 course, but Phnom Penh has four golf courses all close to the city. Cambodia however is recovering from the terrible Pol Pot regime of the 70’s, and although you cannot forget the horrors of this period, there is definitely a new Cambodia arising, partly helped by the number of tourists pouring into this relatively small country. When you land at the modern international airport you immediately sense this capital city is getting its act together. 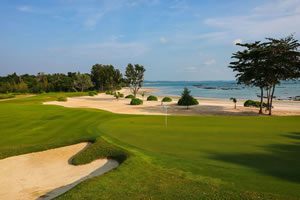 Out of the four courses, the top two are the Jack Nicklaus designed Grand Phnom Penh Golf Club and the IMG managed Garden City Golf Club. Smart money says the best is perhaps the Garden City track which opened in April 2013, and was designed by Major General Weerayudth Phetbuasak who also created Suwan and Sea Pine in Thailand. 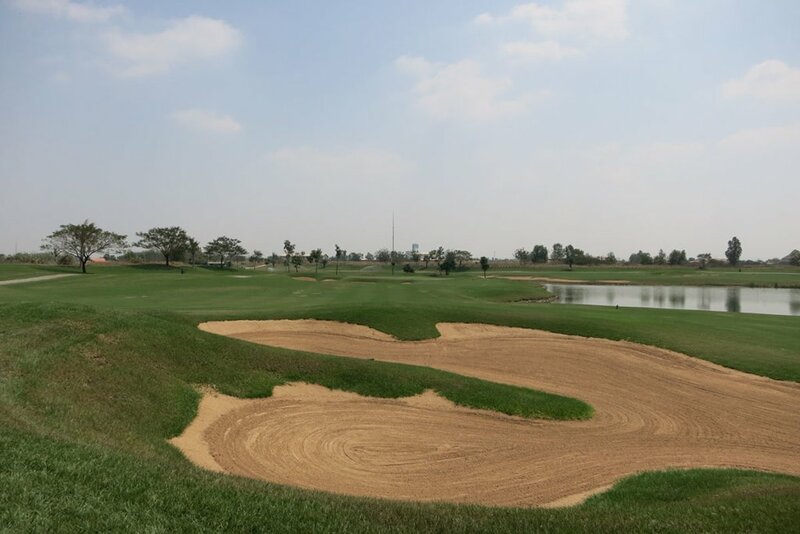 Featureless rice paddies have been transformed into a course with many moguls, mounds and manmade hazards. 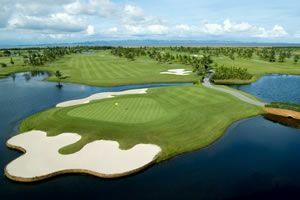 Grand Phnom Penh Golf Club is located 20 minutes from town and has immaculate fairways, and manicured undulating greens. Nicklaus has made some significant earth moving and mounding are featured around the greens and as the course is relatively exposed especially late in the day, it can play havoc with your scorecard. There are a number of international hotels here plus a few boutique hotels so you are spoiled for choice. The city is relatively small with many of the tourists enjoying the chic riverside bars and restaurants, including Oscars Bistro by the same owners of the popular Bangkok watering hole. We did take in the prison known as S21 where 20,000 Cambodians were tortured and died during the 70’s. Many also visit the Killing Fields a grim reminder that only 40 years ago over a third of the population lost their lives. It is very moving but we all agreed we needed to experience the place. Another reason to visit this region is to take a boat trip on the massive Mekong river at sunset to see some of the well known gypsies living on their small boats. In our case we ended our river trip with a cool Singapore sling at the Elephant bar at Raffles Hotel Yes we all got truly raffled!!! Definitely worth returning and the good news is most restaurants and bars are around 20% cheaper than in Thailand.